That dark time of the SEO becomes past now when driving an SEO campaign without the computer and some costly paid tool was impossible. Currently, we are living surrounded by mobiles which are having as capability as a computer. 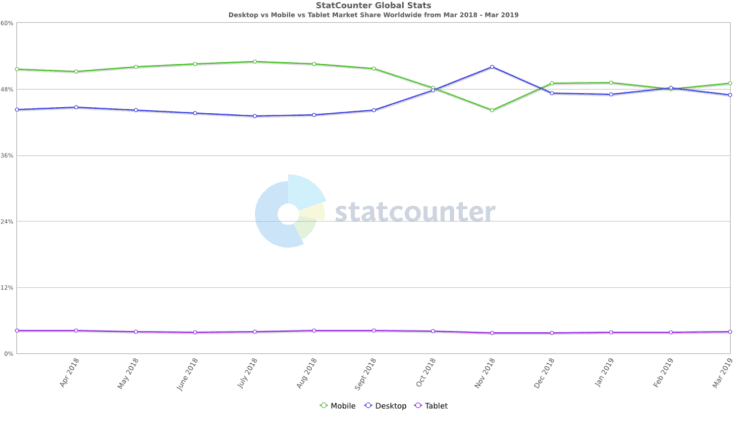 According to the Globalstats, in March 2019, the global market share of the mobile and PC were respectively 49.07% and 46.94%. This high usage of mobile devices represents the ability of mobiles. Not only mobiles, but the mobile apps we are currently seeing in the app store are productive like never before, thanks to advanced development with node.js and smart development with Artificial intelligence. If you dig into play store and apple store, you will find so many apps which help you to drive an SEO campaign on the fingertips. SEO mobile apps have so many advantages over SEO tools. Thus, someone can defiantly prove his intelligence by using free light weighted and productive app and not investing in costly and complex SEO tools. These are the top SEO apps which saves lots of your resources while driving an SEO campaign which eventually benefits you economically. If I ask you what are the major attributes of the SEO, then your answer would be Mozrank, page authority, keyword density, meta tag generator and many more. Without these attributes, it is not possible to drive a result-driven SEO campaign as these are the attributes which let SEO executives to know where websites or pages are playing ill and where to target to make it healthy again. Sinium is the free application which is having 50+ tools that simplify the SEO. What makes it the best SEO app is, all 50+ tools are very useful and can only be seen in some of the costly SEO tools. Getting some tools like Domain Authority, back-link lookup, meta tags analyzer for free and on the mobile phone, is something you will not find every day. Another good aspect of the app is its UI. They have included 50+ tools in different category. So, this way, it becomes easy for the user to find his desire tool from the list so easily. This app has the more than 900 reviews with an overall rating of 4.2. If you are a small business owner and curious to know how your website is performing in the local Google search result, then this tiny app will be your best business partner. Unlike previous Sinium app, this app has limited functionally, but whatever it is offering is very important for a small business. All you need to do is download the app and add the link of your website. Then you can check the ranking of your website according to the geographic bounty. If you are having a small business then using this app benefits you on a large scale. You can check the local ranking of your site, and your competitor’s site. According to that result, you can plan a strategy to rank your site higher. And even if you are a large business then this app offers premier services which let monitor the heavy sites in different locations. MailChimp is the company which provides the apps to perform the email marketing. It was started in 2001 by Ben Chestnut and his two friends. In 2017, Mailchimp earned a revenue of $525 million. Though Mailchimp was started in 2001, it became freemium service provider company in 2009. In 2014, per month, the automation platform of the company was sending 10 billion emails per month. Through the MailChimp app, the user can start an automatic and intelligence mail campaign. The user can use the mail template for the promotion and sends it to the number of people at a single time. Once all mail has been sent, the app gives a report to the users. In this report, it contents the number of people who opened the mail and number of people who didn’t open it. That people who didn’t open the mail, a user can send the same mail again with just one click. The free version has limited features, but by paying a little amount, you can utilize all features of this automated email marketing app. One should not miss the social media while driving an online marketing campaign. A survey shows that almost 88% of the companies are now marketing on social media. But as the number of social media sites increase, it becomes difficult to manage the social media marketing campaign. However, there are few apps which are very purposeful for users to manage all social media sites in a single app to drive more productive marketing campaign in less time. Buffer is one of the apps. Through the buffer app, a user can add the number of social media accounts in one place, from that place user can post different or same post on every social media accounts. The user can even schedule the post to be live on a particular social media. Additionally, the user will get to know all statistics related to his post. If you are following free plan, then there are certain limitations. You can only add 3 social media profiles with the 10 limited scheduled posts per profile. But if you pay a little amount, then you can connect 8 social media profiles with 100 scheduled posts per profile. Ranking of a site depends on so many factors. The backlink is one of them. Basically, a backlink is nothing but a link a website gets from other websites. More number of quality backlinks rank the website higher in the search result. This is why it is very important to take a close eye on the backlinks of your site. SEO backlink tool is the app, developed by LXR marketplace which has developed so many other online marketing related apps. Through this app, the user can check the number of quality backlinks his site is getting, what is the rank of the sites from where backlinks are coming and what is the score of his sites with a particular number of backlinks. After knowing the usability of these 5 apps, it is safe to say that an app can be as useful as a paid SEO tool in online marketing. Through simple apps, people can do SEO activities from studying the performance of the website to deploying a result-driven online marketing campaign. These apps are so smart that it provides real-time data with accuracy. In this manner, any small or even large business can see rapid growth even if the marketing campaign has been driven by a few tiny mobile apps.